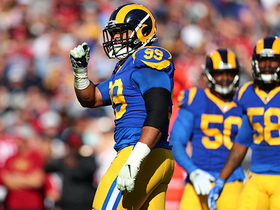 Donald recorded seven tackles and three sacks during Sunday's victory over Arizona. 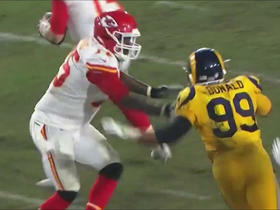 Donald totaled four tackles, including two sacks and two forced fumbles during Monday's 54-51 win over the Chiefs. 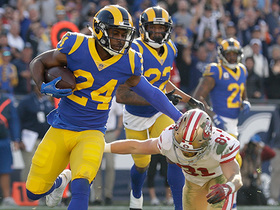 Analysis: Though Donald and the Rams defense allowed 51 points to the Chiefs, Donald made his presence known, as he continued his dominance. 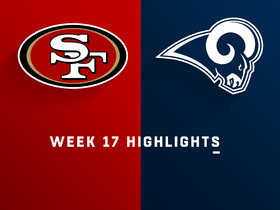 His two sacks elevated his total to an NFL-high 14.5, while one of his forced fumbles was returned for a crucial touchdown. 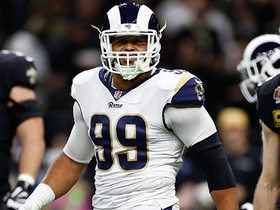 He's well on his way to winning another Defensive Player of the Year award, and he'll look to make his case even stronger after the Rams return from their bye week. Donald recorded four tackles (three solo) and 2.5 sacks across 54 defensive snaps in Sunday's win over the Seahawks. Analysis: Donald now has a league-leading 12.5 sacks on the season, which also marks a new season-high for the four-year pro. 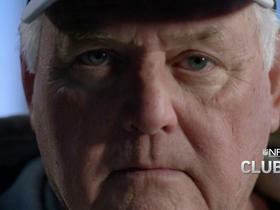 He'll now face arguably his toughest task of the season, getting a hold of Patrick Mahomes, who has only been sacked 17 times this year. 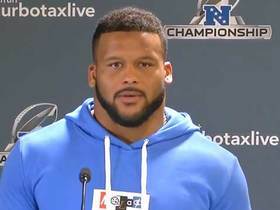 Los Angeles Rams defensive tackle Aaron Donald discusses comments by New England Patriots head coach Bill Belichick and whether he should be considered for NFL MVP. 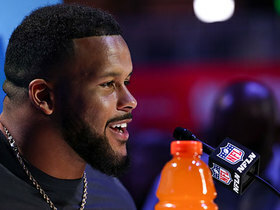 New England Patriots head coach Bill Belichick discusses the challenges of playing against the Los Angeles Rams' defense, led by defensive tackle Aaron Donald. 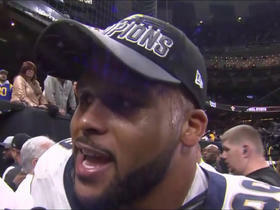 Los Angeles Rams defensive tackle Aaron Donald speaks with NFL Network's Steve Wyche following the team's win in the NFC Championship Game over the New Orleans Saints. 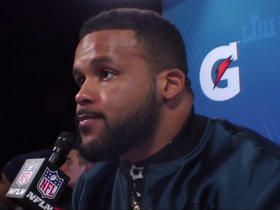 Los Angeles Rams defensive tackle Aaron Donald discusses the challenges in facing the New Orleans Saints running backs. 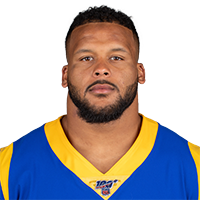 Willie McGinest and Joe Thomas discuss whether Rams defensive tackle Aaron Donald can make his case for the NFL MVP award. Los Angeles Rams defensive end Aaron Donald flies into the backfield for his first sack of San Francisco 49ers quarterback Nick Mullens.